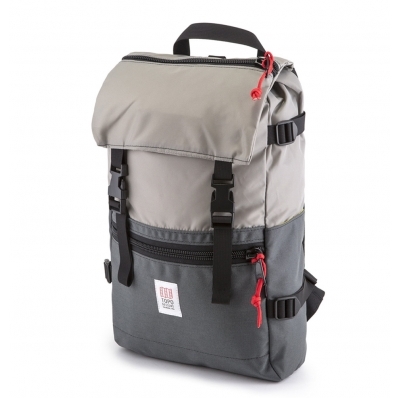 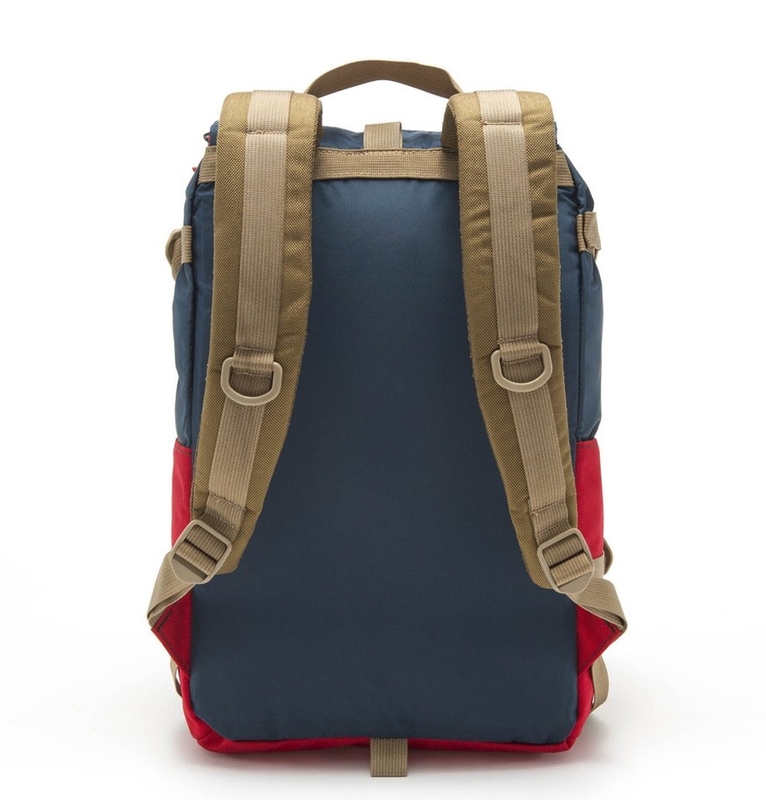 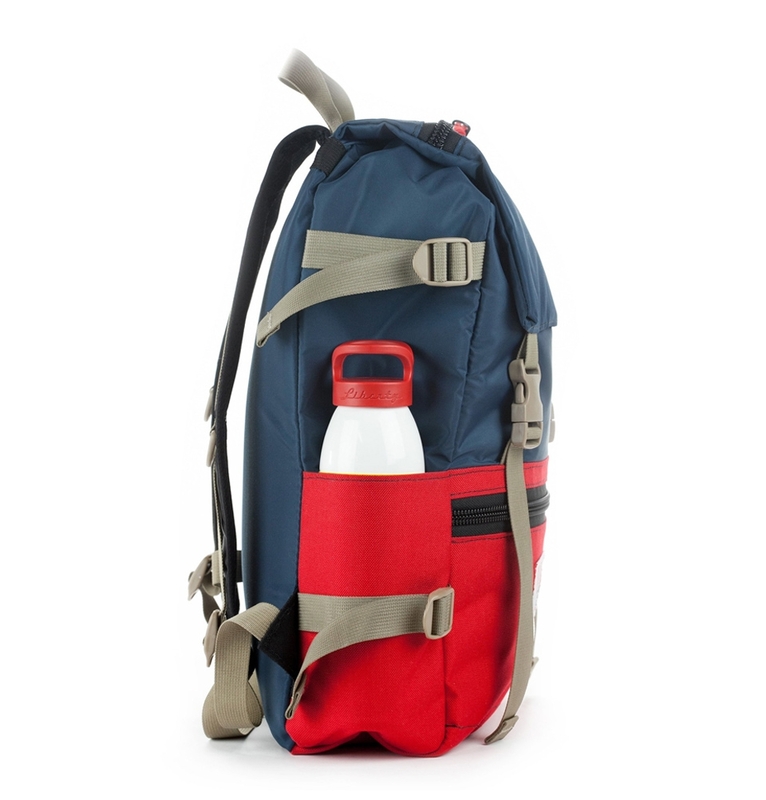 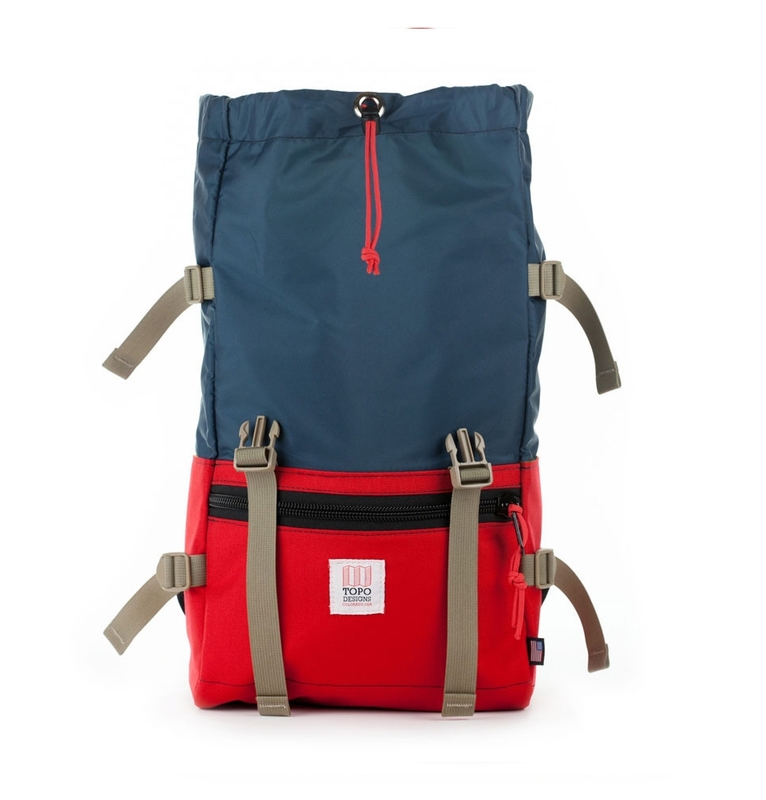 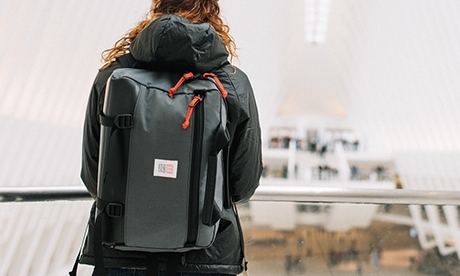 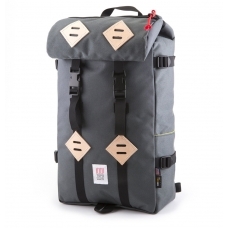 Topo Designs Rover Pack Silver/Charcoal, timeless backpack with great functionalities. TOPO DESIGNS ROVER PACK SILVER/CHARCOAL, timeless pack with great functionality, handmade in Colorado USA. 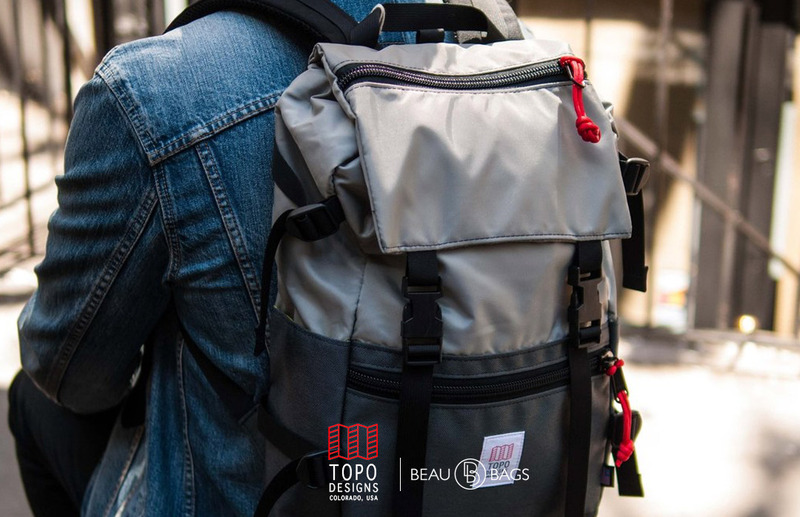 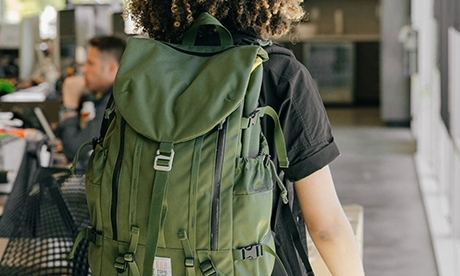 Not too big, not too small, not too fancy, not too simple, Topo Designs Rover Pack Silver/Charcoal is the Goldilocks of rucksacks. 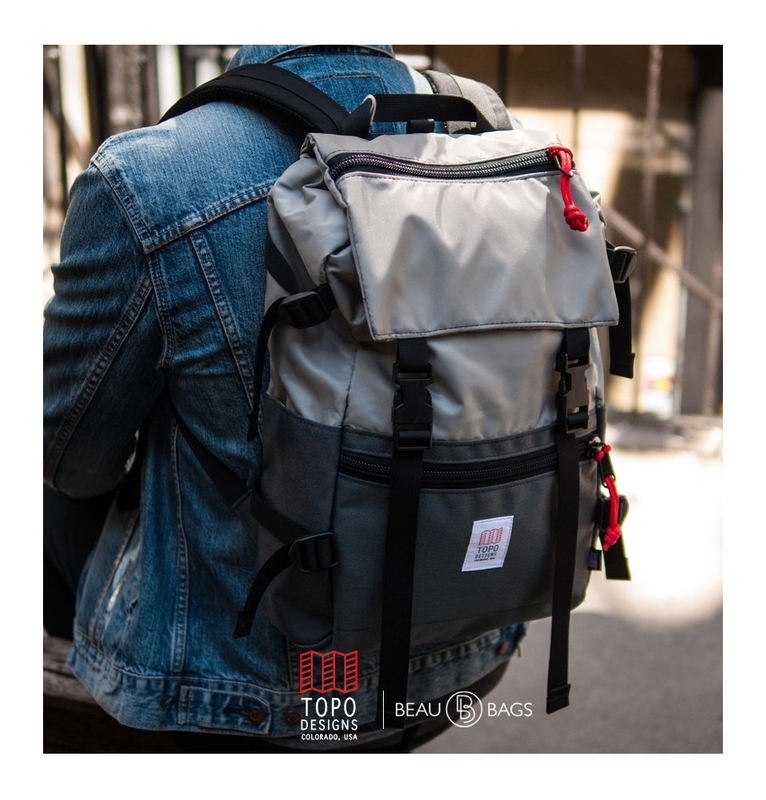 Topo wanted a pack that had a timeless silhouette but also wanted to make sure its functionality wasn't stuck in the dark ages. 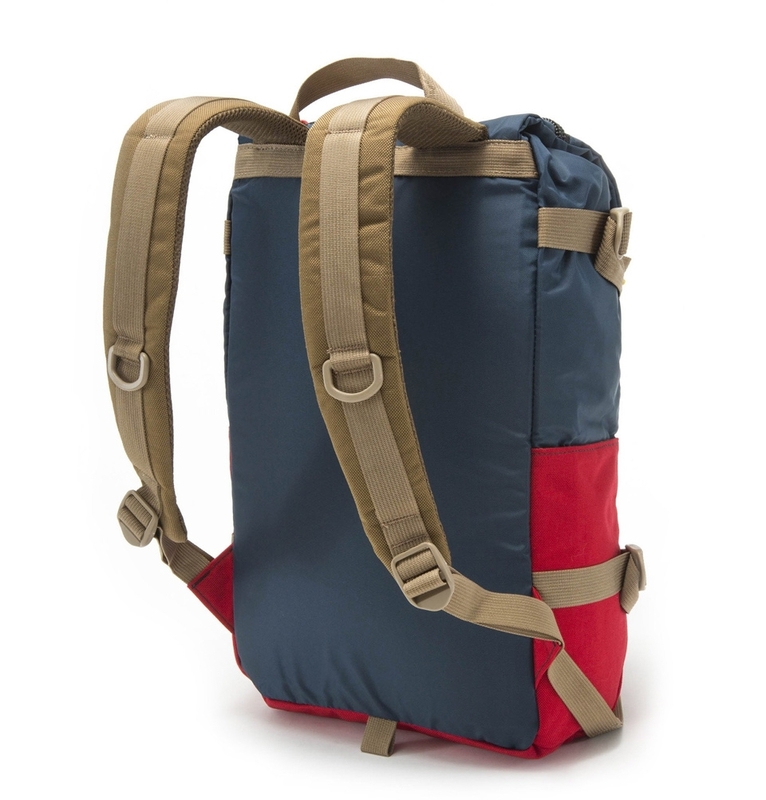 The Rover features a rugged 1000D Cordura® base for durability and a lightweight, water-resistant packcloth upper with a cinch closure. 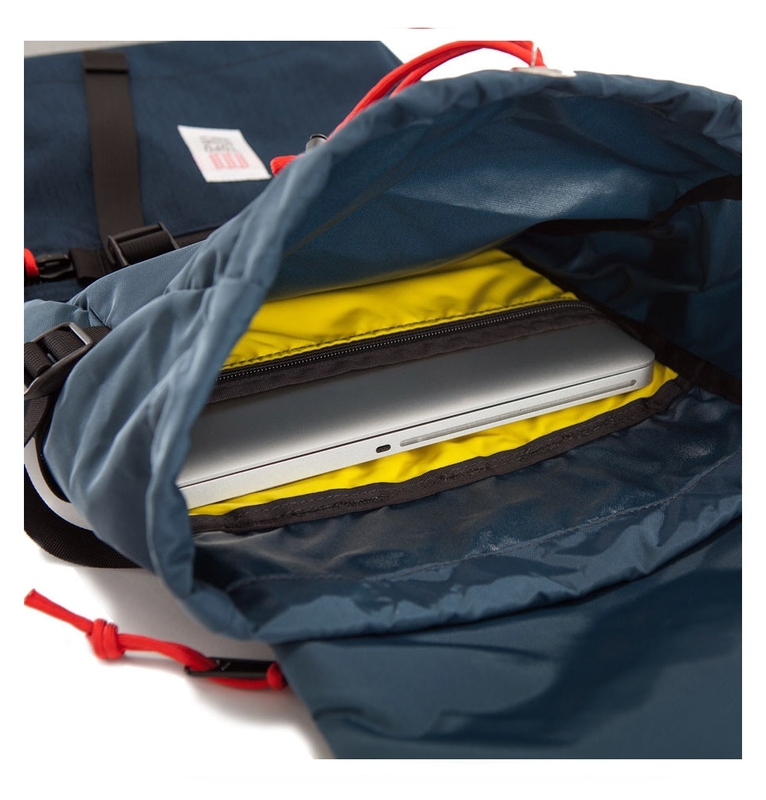 Two exterior zipper pockets give quick access to smaller items, an inner laptop sleeve keeps computers secure and two side pockets for carrying water bottles or extra gear which can be cinched tight with the side compression straps. 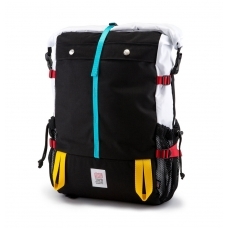 The low-profile backpack straps are backed with a padded mesh, include accessory D-Rings.